New legislation will come in to force next month with regard to the Construction Products Regulations (CPR) and the ISO 3834 standard. This will affect the structural steel industry as all steel frame work and steel components placed on the market will need to carry CE marking and it will be a criminal offence to supply products without this marking. 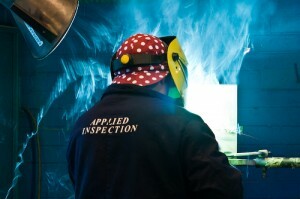 CE marking can only be applied to the steel work provided that the manufacturer can demonstrate the components comply with the relevant harmonised standards–a harmonised standard being a standard that is regarded by the European Commission as satisfying the Essential Safety Requirements set out in the Directive. Our Welding Manager, Fred Hawksworth has been helping customers achieve CPR and the ISO 3834 standard in his role of Responsible Welding Coordinator (RWC); ensuring all criteria are fulfilled in the production and implementation of written procedures and the qualification of welding procedures. His suitability to undertake the role is assessed by the individual company’s accrediting body through an interview process. It is a requirement of the legislation that fabricators must appoint an RWC and it is the responsibility of the RWC to ensure that all criteria involved with welding as a ‘special process’ are met-this applies to material, weld process, weld position, material thickness and filler material.